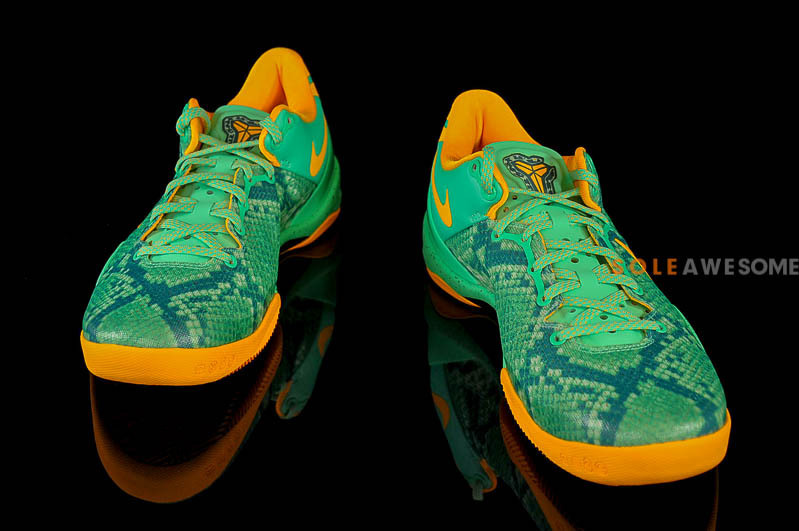 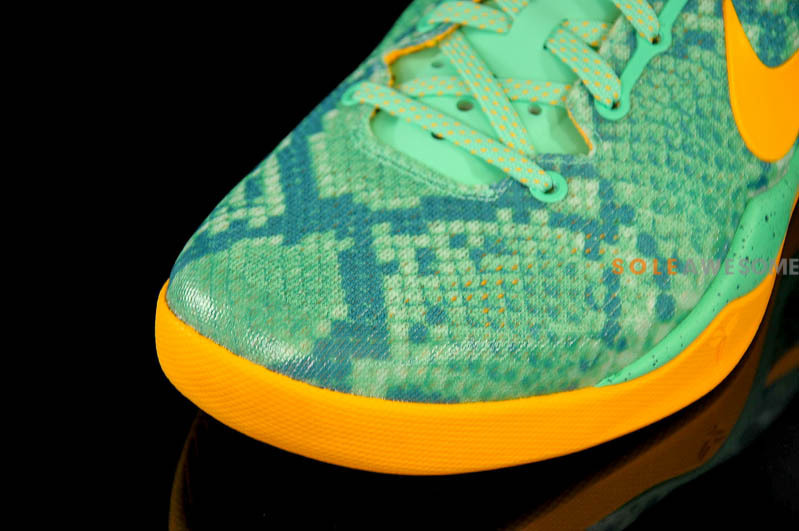 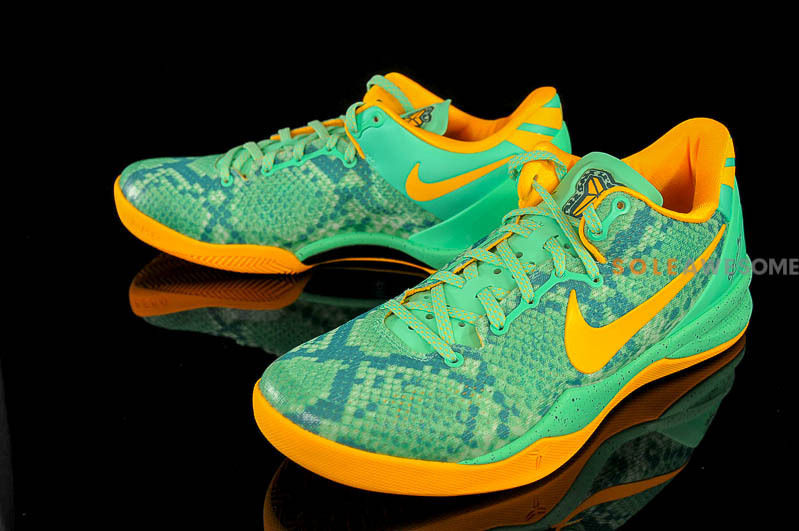 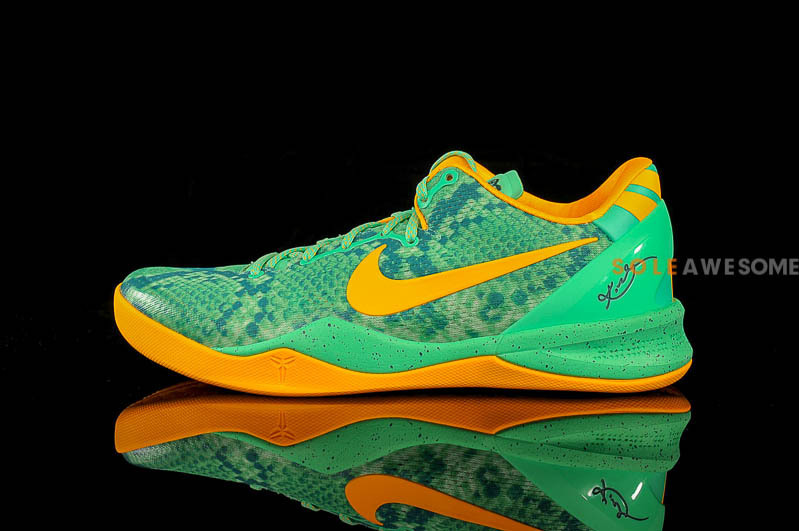 Nike Zoom Kobe 8 "Green Glow"
With the plethora of Kobe 8 colorways being released this year, this new “Green Glow” could possibly be one of the hottest to drop so far. 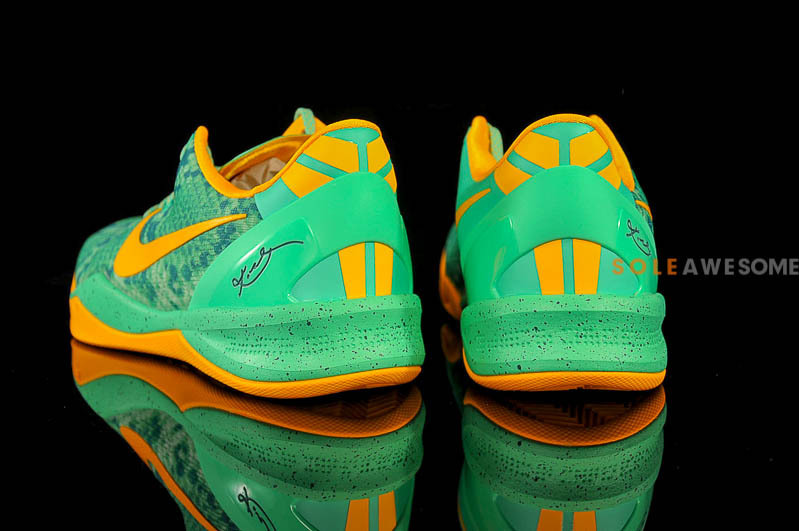 Featuring accents of orange throughout the entire shoe, the rest has been drenched in green glow providing one of the most vibrant Kobe 8’s we have seen this year. 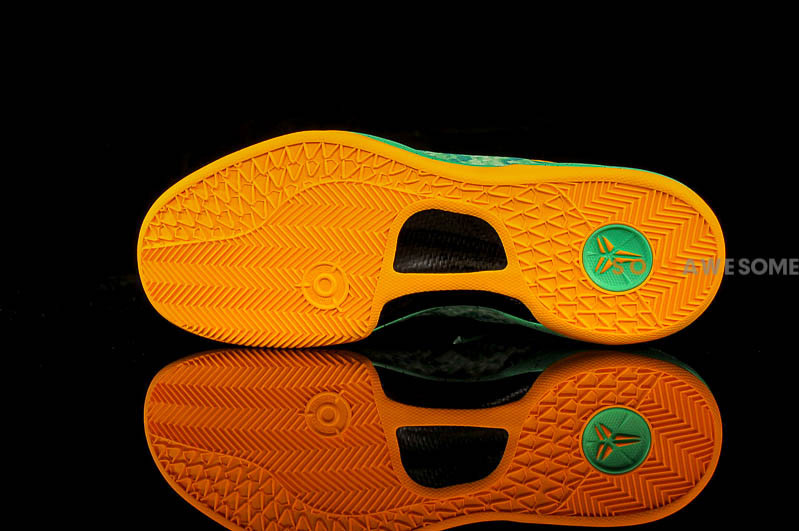 Word on a release date has yet to be announced but if you don’t feel like wating till the drop date, you can head over to SoleAwesome and snag a pair today. 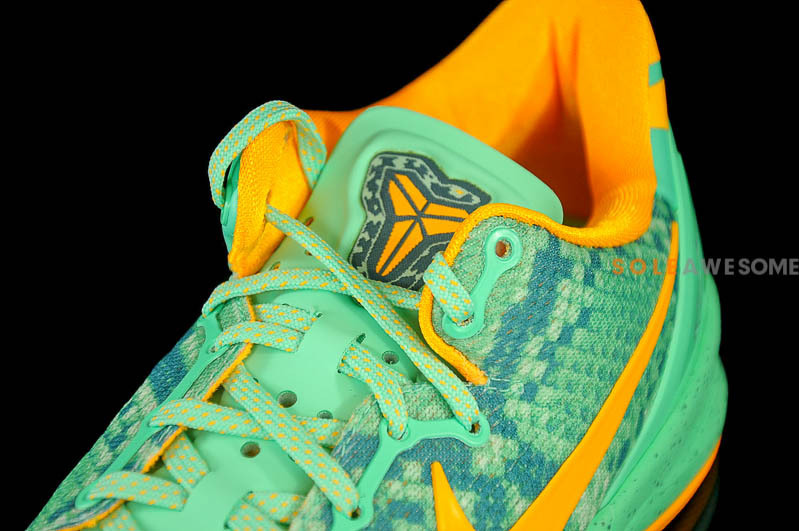 Let us know via our Facebook, Instagram, and Twitter if you’re feeling these and stay tuned for the latest.